SRI NAGAR: Former Jammu and Kashmir CM and National Conference working president Omar Abdullah on Monday hit out at hardliner Syed Ali Geelani describing “hypocrisy as his trait”. 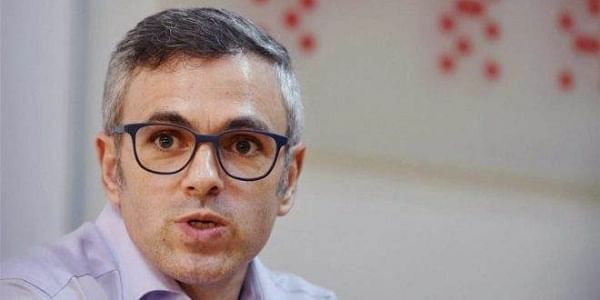 “It’s not surprising, that the separatist camp has chosen to react to what the NC president Farooq Abdullah has said and not to what the Pakistani Prime Minister said,” Omar tweeted. Reacting to Farooq’s statement, Geelani had said power-hungry politicians always played “deceit” and these “irresponsible and short-sighted” people have always served the interests of their masters. Taking a dig, Geelani said, “Farooq Abdullah should see how his predecessors were forced to beg for the chief minister’s berth after being sacked from prime minister’s status. It is an irony that these politicians are still following their politics based on betrayal and deceit.” Reacting to Geelani’s jibe, Omar said, “Yes, while Farooq Abdullah’s ancestors were engaged in a struggle, this man was fighting elections and cosying up to the Janata Party.”Geelani had been a member of the Legislative Assembly before militancy erupted. He later joined the separatist camp and now seeks merger of J&K with Pakistan. Two militants were killed in a gunfight with security forces in Handwara area of border district of Kupwara in Jammu and Kashmir on Monday. A police officer said bodies of two militants have been recovered and their identification was being ascertained. He said the police, CRPF and army men have launched a search operation in the area to nab the accomplices of the slain militants.